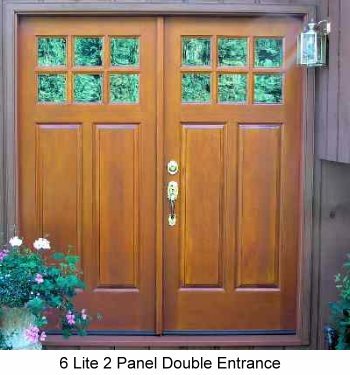 Compliment your front entry with matching solid fir exterior doors. 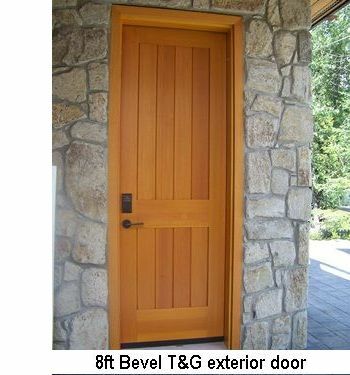 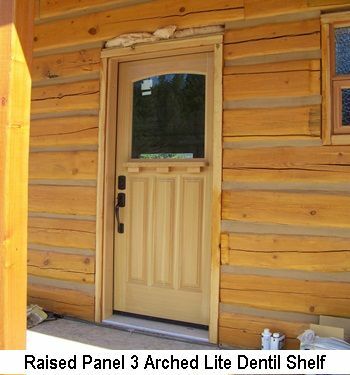 Complete the exterior look of your home with a full custom designed Douglas Fir Door package. 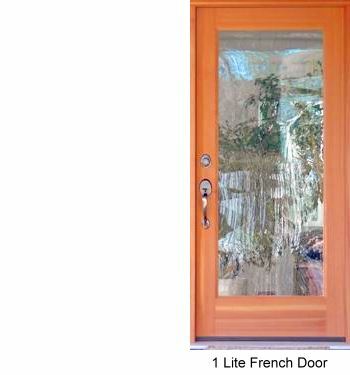 VisitDoor Drawings to view example drawings, and get some ideas about Frame and Panel layout. 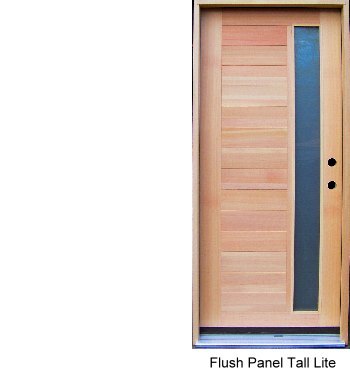 Click on a drawing that suits your style to email for design consultation. 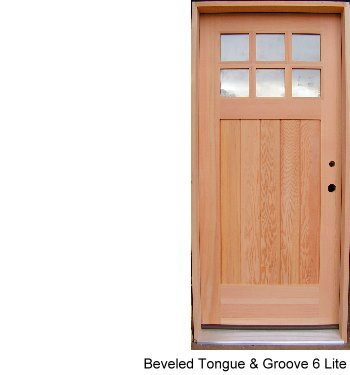 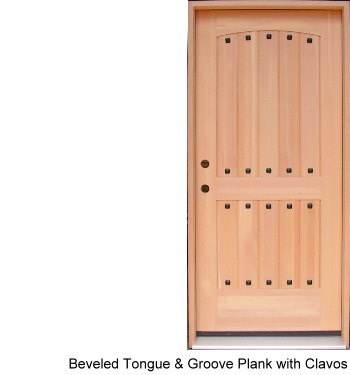 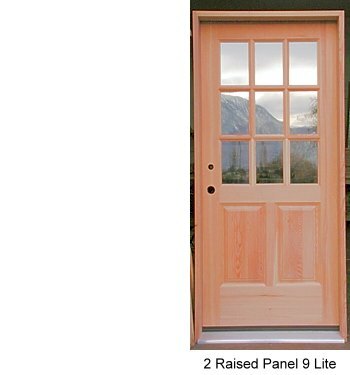 Our solid wood exterior doors boast thick solid Vertical Grain fir panels, with robust profiles, producing a sturdy door rich in craftsmansip. 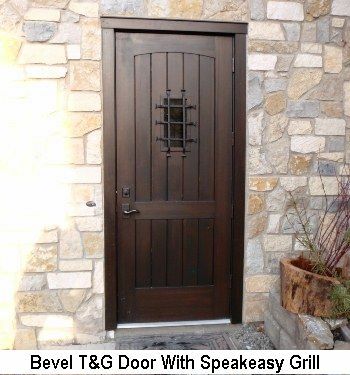 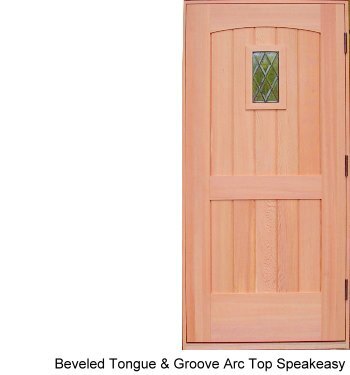 Our most popular door panels are Bevel T&G Plank, Raised Panel, and Flat Panel (Shaker). 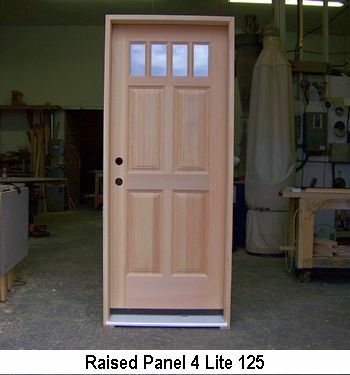 Panels are sealed and door jambs are complete with weathertight gaskets. 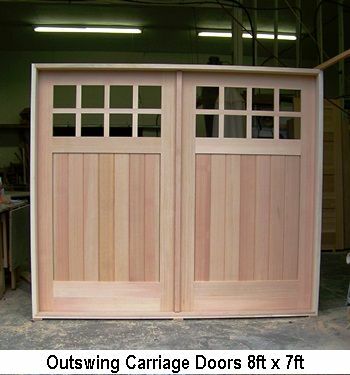 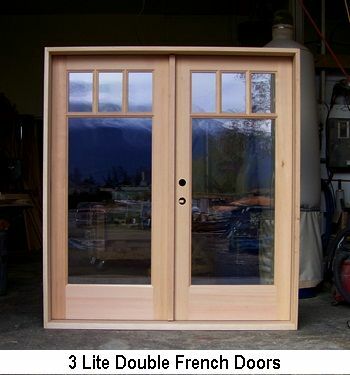 Custom wood french doors are a great way to let light into your home. 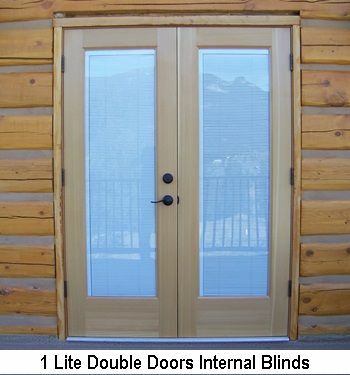 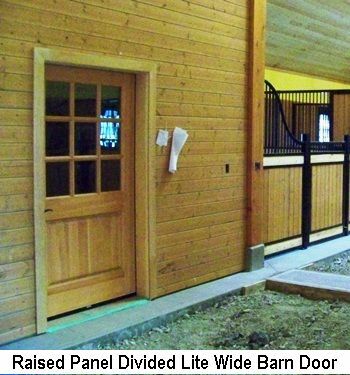 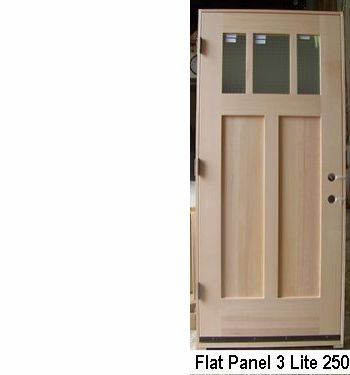 Our True Divided Lite doors use solid wood muntins, and energy efficient glass. 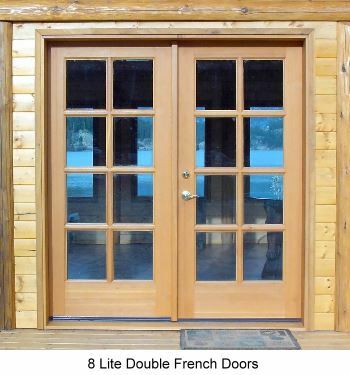 Add a transom and/or sidelites for even more light. 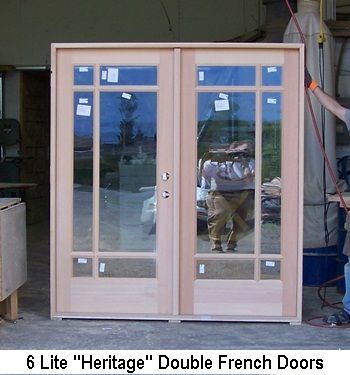 Use your deck or patio to advantage with Double French Patio Doors. 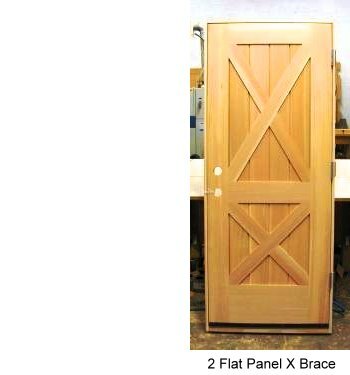 Built to last using frame and panel construction and mortise and tenon joinery, your solid wood doors will stay true for generations. 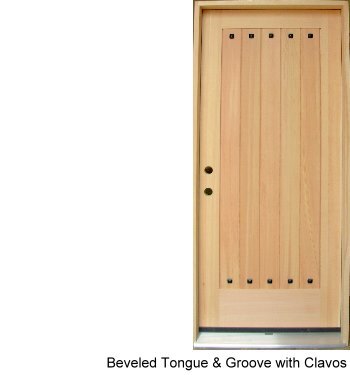 Pre hanging using ball bearing hinges, in our carefully crafted full rabbet weather sealed jambs makes installation easy and accurate. 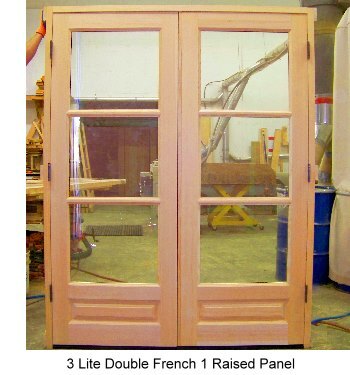 Doors are sanded to a 150 grit finish, crated for shipping and ready for on site finishing.